RIDE MORE. WAIT LESS. SPEED PAST THE LINES WITH FAST LANE! Extreme fear by the numbers! 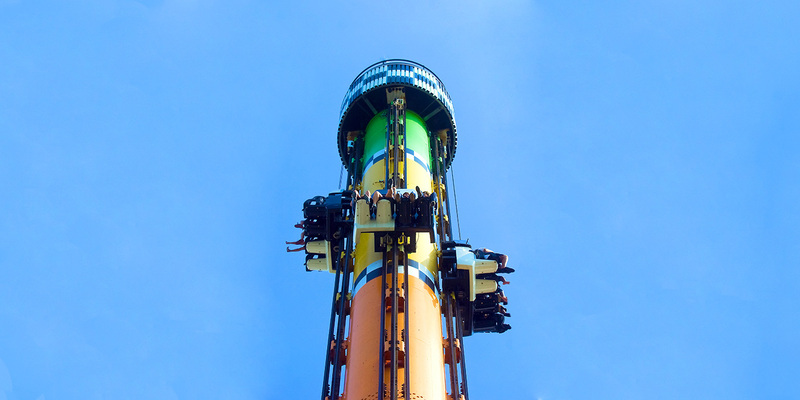 What goes up must come down – and down, and down, and down at incredibly dizzying speeds on the Drop Tower, among our guests’ favourite rides. Your Drop Tower experience begins by strapping into an open car, feet dangling, and spending what feels like an infinity ascending 230 feet into thin air to the peak, taking in a gorgeous view of the park. But trust us, you won’t enjoy that view for very long. Before another thought can enter your brain, the ride releases and you drop -- you plunge -- you are completely emptied into a free fall of over 21 stories, reaching frenetic speeds of up to 100 kilometers per hour before the brakes kick in and – did that really happen? – you’re at the bottom and back to normal. But, know this: after riding the Drop Tower, you’re never truly normal again. Towering at 230 feet (70.1M), Drop Tower is the same height as Behemoth; only Leviathan and WindSeeker are taller than this extreme thrill! This is one of the many great rides in the FAST LANE lineup. Guests must be 54" tall to ride. A free-fall ride that lifts riders to the top of a structure and drops them. Riders will experience weightlessness and rapidly changing forces. Maximum weight is 800 lb. per cabin. Guests must have sufficient lower extremities to ensure the ride restraint system adequately restrains them, and a minimum of two functioning extremities with one functioning arm. 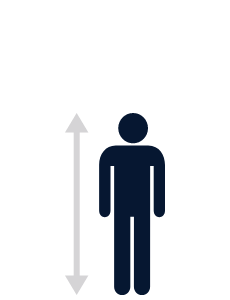 Two functioning arms are sufficient instead of one functioning arm and one functioning leg if the guest has a normal centre of gravity and lower extremities are sufficiently strong to support weight against the restraint under the dynamic conditions of the ride. Amputations must be at the knee or below. Alternate access is available at the ride exit to the left. Riders will have to take several steps, on their own or with the assistance of a companion, and be capable of elevating themselves up into the seat. Please do not use the ride restraints for support while entering and exiting, as they will shift. WARNING: This ride utilizes magnetic systems during the ride. Visit our Guest Assistance Guide for additional accessibility information.